...there was some conflict between the white pastoralists and the aborigines. As sheep numbers increased the native game disappeared and the aborigines were forced to spear sheep for food. They developed quite a liking for mutton chops, so boundary riders were hired to watch the flocks by day, and by night the sheep were driven into yards consisting of movable hurdle type fence panels where they were guarded by shepherds. As the boundary riders retaliated against these killings, bad feelings against the aborigines grew and the late Mrs Jane Cook (a daughter of the boundary rider John Shepherd) remembers the Richardson and Morton plains aborigines being rounded up and taken to the Ebernezer Mission at Antwerp. In 1874, following the enactment of the Victorian Land Act, John Shepherd took out a lease on 307 acres of land at Corack East. Three years later, the couple lost three of their children - Susan Maria Shepherd (1870-77), Jessie Shepherd (1874-77) and their only son John William Shepherd (1875-77) - in a diptheria epidemic that swept through the area. 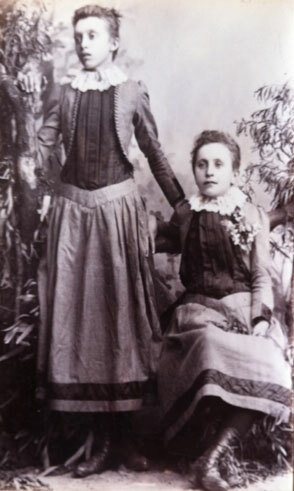 According to some notes later written by their youngest daughter, Annie Florence Shepherd (pictured below with her sister Lucy), all three children were buried in the Donald Cemetery and a 'picket fence was erected around the graves'. Some time later, she added, 'the picket fence and all the records to that time were burnt in a bush fire [so that] the location of those graves could not be found'. Annie's notes also tell us that John and Johanna built their first house on land that 'was later gazetted as a reserve resulting in them having to shift to the present home site'. In spite of their losses and trials, John and Johanna stayed on at Corack, continuing to transform their virgin bush block into a working farm. In 1889 they were able to enjoy the wedding of their eldest daughter, Mary Jane Shepherd, to Frederick Thomas Cook, who was farming land at nearby Thalia (see below). Two years later, their next two girls, Fanny Johanna and Johanna Shepherd, married the Free brothers, Samuel and James, at the girls' parents residence at Corack East. The two couples and their growing families initially farmed land near their father's selection at Corack East but eventually moved to Lalbert. Sent to us by Gloria Reilly, the photo on the left is of Lucy Catherine and Annie Florence Shepherd. 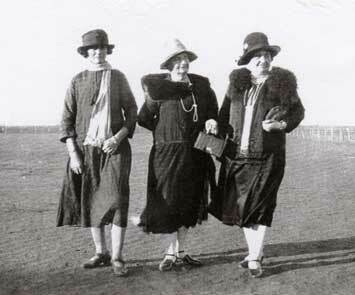 Johanna Shepherd nee Mulchay in the centre, and Annie Florence Shepherd in the front. It is with regret that we announce the sudden and somewhat unexpected death of Mrs Shepherd, wife of Mr John Shepherd, of Corack East, on Monday last at the age of 61 years. The cause of death was heat apoplexy. The deceased was attended by Dr Lewis a few hours before her death. The funeral took place at the Corack East cemetery on Wednesday last, and was largely attended by residents of the district. The deceased lady, along with her husband, arrived at Corack nearly 30 years ago and has resided there ever since, and was greatly liked and respected by all who knew her. Great sympathy is expressed for Mr Shepherd and family in their sad bereavement. One of the oldest pioneers of this district in the person of Mr John Shepherd passed away on Thursday last, after an illness of only four days. Up to Sunday last the deceased gentleman was in his usual health, but on that day was attacked by illness, and Dr Calhoun (Donald) on being called out, diagnosed the case as paralysis. For several days the health ebbed and flowed, but at last the Dr pronounced the case hopeless and the end came on 28th Feb. Mr Shepherd had attained the ripe old age of 76 years, 66 years of which had been lived in the colony, the main part of which had been spent in the Donald and Corack districts. The deceased arrived in Victoria with his parents from Devonshire, England, in the year 1852, the name of the ship being the "Stebonheath" and landed at Geelong on 11th January in that year. Immediately thereafter Mr and Mrs Shepherd Senr. moved with their little family to Rich Avon station, where they remained for several years, from which place deceased was married, the young lady being Miss Mulcahy, the ceremony being conducted by an Anglican clergyman at Cope Cope. After being at Banyenong station for two years, Mr Shepherd in 1869 took employment with Mr Craig at the Bald Hills Station (Corack), and on selection being given to the people, he took up the usual 320 acres, in which he and his family have resided ever since. In the year 1877 bereavement came to the family by the ravages of diptheria which carried off the only boy (2 years old) and two of the girls. Further bereavement occurred in November 1900 when the wife of deceased died, leaving six daughters, four of whom are as follows: Mrs Cook, Thalia; Mrs S. and J. Free, Lalbert; and Mrs Reilly of Corack, and the two younger daughters Elizabeth and Lucy were with the father when he died. No fewer than 28 grandchildren and 9 great grandchildren survive the good old man - and he came to his end like a full stock of corn - loved and respected by all who knew him. Three brothers also survive the deceased gentleman, Mr Edward, 79 years, Wycheproof, Mr Robt, St Arnaud, and Mr William, Berrimal. On 26 April 1918, the same paper informed its readers that 'John Shepherd, late of Corack East, farmer, widower, who died on 28th February, left by his will, of 27th March 1917, £63,706 real estate and £61,475 personally to his wife and daughters'. Such a legacy, combined no doubt with the generous nature of its donor enabled Lucy Catherine Shepherd to contribute £2/10/- to the Commonweath Button Fund, "Women's Day" collection, held in August 1919. The electoral rolls for the Wimmera Division of Victoria show that Lucy and her sister Elizabeth Ann Shepherd continued to live in the family home after their father's death. Gloria Reilly tells us that, sometime between 1924 and 1931, Lucy married the local blacksmith, John Myles (1866-1954). Their wedding photo is pictured below. The 1931 electoral roll shows John and Lucy registered as living at Corack and Corack East respectively. 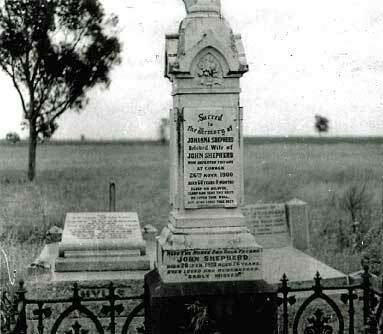 Lucy died the following year and was buried in the Corack Cemetery. John died at St Arnaud in 1954 and was buried with Lucy at Corack on 3 September. He was then 90 years old. There passed away on August 29 an old and widely known and highly respected pioneer, who has been for many years associated with the development of Corack East, in the person of Miss Elizabeth Shepherd, at the age of 73 years. Born at Banyenong Station where her father was engaged as boundary rider for Messrs Craig and Aitken, owners of a large portion of the Corack East district known as Banyenong and Corack stations, and had lived out her life in the surrounding neighbourhood. at Corack East. 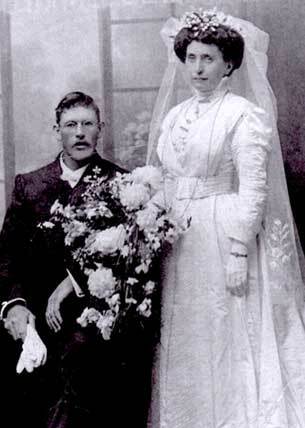 The one on the right is of John Myles and Lucy Catherine Shepherd on their wedding day. Alice Martha McCallum nee Free. What of John and Johanna's other girls? As mentioned above, their second and third daughters, Fanny Johanna (1864-1927) and Johanna Shepherd (1866-1937) married the Free brothers, Samuel and James Free, at a double wedding held at the sisters' parents residence at St Arnaud in 1891. Both couples spent their early married lives at Corack. By the time of their father's death in 1918, Fanny and Johanna and their growing families were living and working on farms at Lalbert. Click on the names above to read of their respective lives, times, families and descendants. Samuel and Fanny Johanna Free nee Shepherd and their family at Lalbert in 1911. 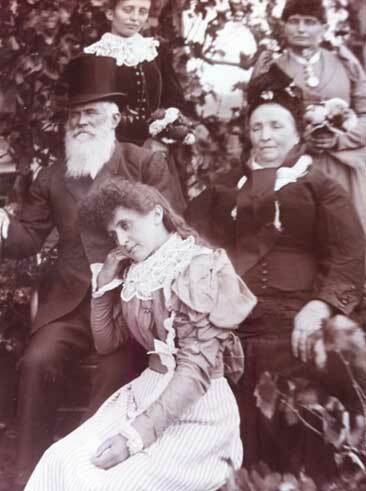 Rear Row (L/R): Albert Ernest, Samuel John, Fanny Johanna, Edward Charles and Leslie. 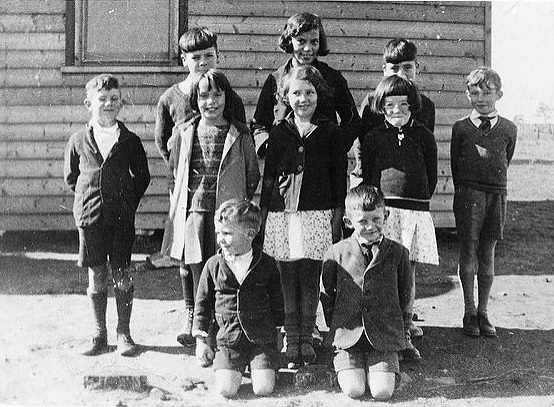 Front Row: Frances Alice, Hilda Flavell, Samuel (holding Donald), Mary Jean, Ann Grace and Clifford Free. John and Johanna's eldest daughter, Mary Jane Shepherd (1863-1963) married Frederick Thomas Cook (1858-1915), at the residence of Jane's uncle, William Shepherd, at Corack on 23 August 1888 (a photo of Frederick, said to be taken in 1874 but more likely 1884 or later, is shown on the left). Their wedding certificate tells us that the 30 year-old Frederick, who was a farmer at Thalia near Wycheproof, had been born at Melbourne, and was the son of Thomas, a farmer, and Lucy Cook nee Barnes. The marriage ceremony was conducted by the Vicar of Inglewood, Rowland Hayward, and was witnessed by John Shepherd and Samuel Free. We have been unable to determine with any certainty, where and when Frederick's parents were married - Ancestry's index of Australian bdms shows that a Frederick Thomas Cook and Lucy Barnes were married in 1872, some twelve years after Frederick's birth - or when and where they died. The LDS database shows that a Frederick Thomas Cook and three other sons of a Thomas and Lucy Cook were all baptised at Geelong on 10 July 1864. Their birth dates were also provided as follows: Fredrick Thomas (1 September 1858), William (24 February 1861), Robert James (16 July 1864) and Edward Cook (27 July 1865). Ancestry's database suggests both Robert James and Edward died young (in 1865 and 1868 respectively). Their brother, William Cook, died, we think unmarried, in Victoria in 1886. The situation is further confused by the fact that while William's parents were said to be Thomas Cook and Lucy Barnes, both Edward and Robert James' parents were said to be Thomas Cook and Lucy Barnett! His demise occurred about 5 p.m on Tuesday at the Wycheproof hospital, where he had been under Dr Rail's care for the past 4 or 5 weeks. His illness was of 10 weeks duration, and commenced with an abscess in the mouth. The whole system gradually became affected by the discharges which caused an inflammation of the bowels. He became despondent, and little hope of recovery was held out, especially when pneumonia attacked him on Saturday. He quietly passed away in the presence of his wife, the cause of death being given as gastro-enteritis. Born in 1858 at North Melbourne the late Mr Cook was 58 years of age. He settled in the district in 1878 by selecting land at Thalia when it was first thrown open, and was, therefore, a resident of the district for 37 years. He was married at Corack in about 1888, and was always regarded as a straight forward and high-principled man, who reverenced his family and thereby gained high respect. He leaves a wife and 5 children - Frederick, Henry, Herbert, Ruby and Mary - to mourn their loss. The youngest child, Herbert, is 14 years of age. The remains will be interred in the Wycheproof cemetery today (17 September 1915). It is with sincere regret we have to announce the death of an old pioneer and highly esteemed resident of the Thalia district in the person of Mrs Mary Jane Cook, which sad event occurred with tragic suddenness on Sunday morning last at her homestead (says the Wycheproof Ensign). She attended the Wycheproof Show and took a keen interest in the progress, showing no sign of physical weakness. She was delighted to know that her daughter had been successful in winning honours in several sections and exchanged greetings with many old friends. She was faithful to duty to the last, for it was whilst performing her task as usual in the kitchen on Sunday morning that she dropped at her post and passed peacefully away, aged 70 years...Of a quiet, retiring, kindly disposition, she enjoyed the friendship of a large circle of district friends who held her in high esteem. Her husband, Mr Frederick Thomas Cook, died in 1915, whilst one son Stephen and a daughter Ruby are deceased. There are three surviving sons, Frederick, Henry and Herbert and one daughter, Mary Jane. 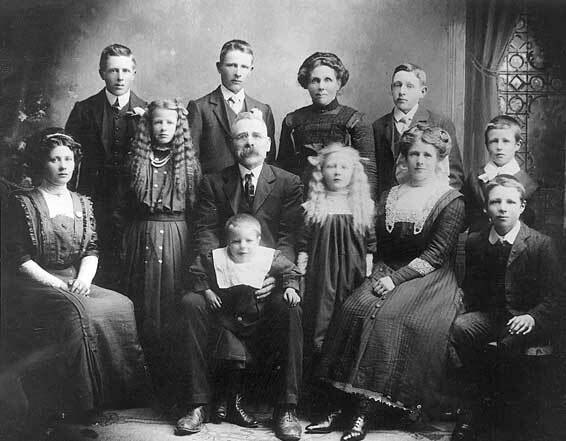 As noted above, Jane and Frederick Cook had six children born between 1889 and 1901. Their eldest son, Stephen, and second eldest daughter, Ruby Cook, died as young adults, Stephen prior to his father's death and Ruby before her mother's. They are buried with their parents in the Wycheproof cemetery (see the photo on the right). Henry, Frederick and Mary Ann Cook lived all their lives on the family farm at Thalia. Neither Henry nor Mary Ann married. They both died in 1959 and are buried together in the Wycheproof cemetery. As detailed below, both Frederick and his brother, Herbert Cook, did marry and had families of their own. Frederick's children grew up in Thalia, while those of Herbert and his wife, Ruby Robertson, grew up in Wilkur South (near Warracknabeal) in central Victoria. 1. 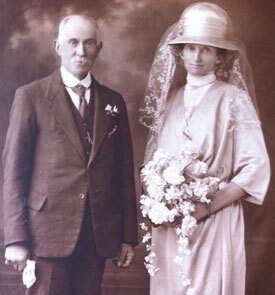 Frederick Cook (1890-1963) married Alice Maud Emily Coxon (1886-1970) in Victoria in 1926. Ancestry's index of Australian bdms tells us Alice, born in 1886 at Moama on the border of Victoria and NSW, was the daughter of John Coxon (c1834-98) and Elizabeth Jane Barbour (1855-84). According to the 'Coxon Family Tree' on Ancestry, John Coxon was born at Meldon in Northumberland in England, and married Elizabeth in Victoria in 1876. Born at the old gold-mining town of Mount Egerton near Ballarat, Elizabeth was the daughter of an Irishman, William Barbour, and a Scotswoman, Marion Harper, who were married at Ballarat in 1854. The 'Rose Shaw Family Tree' tells us Elizabeth was John Coxon's second wife and they had seven children in addition to Alice: Anne Marion, Robert James, Charles John, Norval Henry, Ernest William Frederick, Percy Alfred and Robena Coxon. The Australian electoral rolls show that, after their marriage, Frederick and Alice lived on the Cook family farm at Thalia which Frederick ran until his death in 1963. Alice continued to live there until her death in 1970. The electoral rolls further indicate they had at least two children: 1) Ronald Frederick ('Ron') Cook (1927-2003) who with his wife, Pauline Beatrice Cook (1929-2008), farmed at Thalia until at least the early 1980s. Ron died at Birchip in 2003, Pauline in 2008. Their respective tributes published in the Melbourne Herald Sun tell us they had eight children - Sue, Ken, Jennifer, Julieanne, Ray, Garry, Ian and Allan (three of whom pre-deceased them) - eight grandchildren and, at the time of Pauline's death, 16 great grandchildren; and 2) Stewart Thomas Cook who also farmed at Thalia and probably married although we have not yet been able to determine when and who to. 2. Like his older siblings, Herbert Cook (1901-63) attended Thalia primary school where, in 1915, he and Janet Durie obtained their merit certificates. Ten years later, Herbert married Ruby Robertson (1903-2005), daughter of Alexander Robertson (1861-1937) and Annie Fraser (1864-1923), at Learmonth (west of Creswick) in central Victoria. The electoral rolls show that, after their marriage, they farmed land at Wilkur South until Herbert's death there in 1963 when Ruby and her family moved to Thalia and later Donald where she died in 2005 (aged a sprightly 102 years). Her obituary, published in the Herald Sun on 14 May 2005, tells us Ruby was the 'Loved wife of Herbert (dec). Loved mother and mother-in-law of Aubrey and Betty (dec); Gwen and Ron Storer (both dec); Mervyn and Eily; Shirley and Ted Ekberg; Lyle and Gladys (dec); Avril and Ray Taylor (dec); Coral Hicks; Errol (dec) and Thelma and Donald McNaughton; Graeme and Lesley; Lorna and Ian Hommelhoss. Loved Grandma of 32 grandchildren, 60 great grandchildren and 15 great great grandchildren. A Wonderful Mother'. 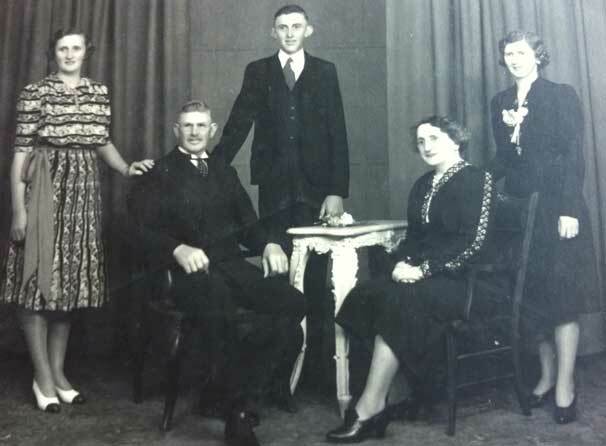 As indicated, Ruby and Herbert had ten children: 1) Aubrey Herbert ('Aub') Cook (c1926-2018) who worked as a farmer at Thalia and died at Dimboola in Victoria (we also think he may have married later in life although that has not been confirmed); 2) Gwendoline Ruby Cook (1927-2002) who married Ronald Robert Storer (1924-2002) in Victoria in 1945 and died at Coonabarabran in NSW. Robert had served in the RAAF during the Second World War; 3) Avril ('Alvie') Dorothy Cook who we think first married Kenneth James Murray Fleming in Victoria in 1939 and later a Ray Taylor although this has still to be confirmed; 4) Mervyn Alexander Cook (1929-2017) who married Eileen ('Eily') Bourke in 1954 (Eileen died at Warrnambool in 2008) and had five children: Peter, Barry, Kathy, Anne-Marie and Susan Cook; 5) Shirley Mary Jane Cook who married Edwin Pherson ('Ted') Ekberg (1916-2008) in 1955 and died in the Melbourne suburb of Camberwell in 2013. She and Ted, who had two children from a previous marriage, also had two children, Tim and Karren Ekberg; 6) Errol Keith Cook (1938-67); 7) Lyle Cook; 8) Coral Hicks nee Cook; 9) Graeme Cook and 10) Lorna Hommelhoss nee Cook. teacher and pupils of the Thalia public school in 1902. 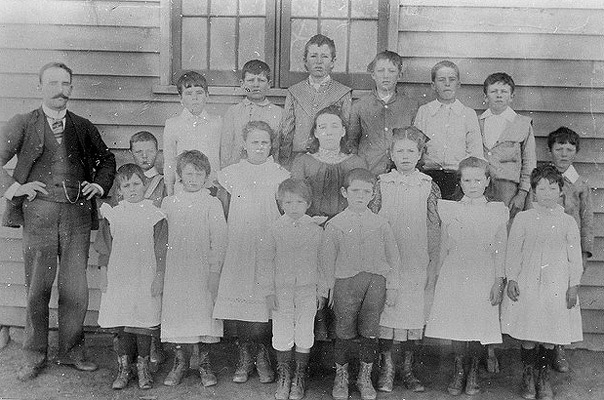 Henry Cook is the tallest boy in the rear row. 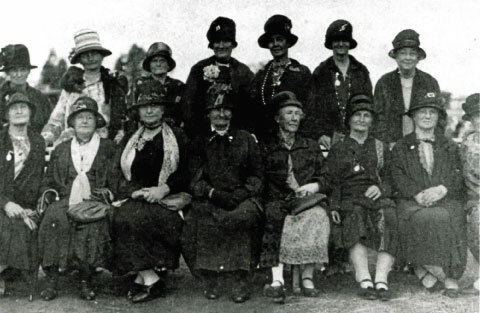 from the left in the rear row) and Margaret ('Maggie') Ryan (second girl from the left). other nine children are members of the Kerr family. 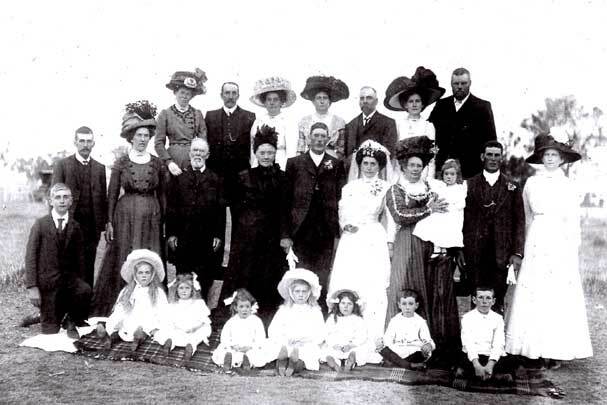 John and Johanna's youngest daughter, Annie Florence Shepherd (1881-1947), married Edmond Reilly (1877-1945) at Corack in 1911 (their wedding photo is shown on the left). Edmond was the son of Richard Augustine Reilly (1836-1922) and Mary Dodd(s) (1836-1930) who were married at Warrnambool in Victoria in 1867. 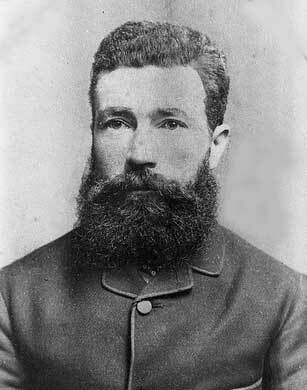 Born in Dublin in Ireland, Richard emigrated to Australia in 1857. Mary, who was a native of Liverpool in England, also emigrated to Australia in 1857 where she was contracted to work as a housemaid for a J. H. Johnston of Geelong for a period of three months. Mary's death notice, published in the Melbourne Argus on 1 February 1930 tells us she and Richard had eleven children (some of whom are pictured in the photo below): Richard (Leongatha), Jane (deceased), John (NSW), Joseph (deceased), Margaret (Mrs J. Bligh, Woodford), Mary (Mrs J. Coombs, Birchip), Clara (deceased), Andrew (Queensland), Edmond (Corack), Augustine (Queensland) and Emily (Mrs Loft, Queensland). A mimeograph on land selection at Corack East by R. P. Falla shows that Richard Reilly, described as a 'farmer of Garvoc, Mortlake', was one of the area's original settlers, leasing a 319-acre block of land at Corack East in 1873. Reilly's application was objected to by his future neighbour Samuel Craig 'on the grounds that it takes one of my last paddocks from me and if granted would render useless the wash that has cost me £500' (cited in Campbell, 1997:9). Craig's objections were unheeded and the Reilly family settled on their new block (the lease to which was eventually transferred to Henry Goldsmith in 1890). Falla's document on land selection also shows that two of Richard's sons also selected land in the area. In 1881 Richard Reilly jnr leased a 300-acre block which he transferred to his father in 1905. The same year Richard's younger brother, Edmond Reilly, took over the lease of a 144-acre block of land belonging to a John Boorn jnr. In 1908 'E & A Reilly' assumed the lease to a 292-acre block that had also belonged to James Boorn. Edmond, described as a farmer of Corack East, was the executor for the last will and testament of his father, Richard Reilly, who died at Birchip in 1922. Edmond's mother, Mary Reilly nee Dodds, died at Birchip in Victoria on 22 January 1930. The Australian electoral rolls show that Edmond and Annie Florence Reilly lived at Corack after their marriage until around 1943 when they retired from farming and went to St Arnaud where Edmond died in 1945 (the joint executors to his will were his wife Annie and their son Edmond Lance Reilly). Annie Florence Reilly nee Shepherd died at nearby Bendigo two years later. Her death notice, published in the Argus newspaper on 29 August 1947, tells us she was the 'dearly loved wife of the late Edmond Reilly of Corack, and loving mother of Annie (Mrs Morgan, Cavendish), Daisy (Mrs Campbell, Carron) and Lance, Corack - Father and mother re-united'. We believe that Annie and Edmond are buried together in the Donald Cemetery. Susan Ellen Cockfield nee Haswell, Harry Cockfield, Grace Stakelum nee Cockfield and Richard Reilly. Annie Florence Reilly nee Shepherd, Janet Munro nee Haswell (nursing Alice Munro), 'Gus' Reilly and Jeanie Barkla. Charlie Munro and Andrew Munro. Daisy Alexandrina Campbell nee Reilly, Edmond Lance Reilly and Annie Florence Morgan nee Reilly. 1) Edmond Lance Reilly (1919-99) married Catherine Dunn (1919-2006) and continued to farm land that included the block on which Edmond had grown up and the one which his grandfather, John Shepherd, had originally selected in 1874. On retirement they moved to nearby Donald where Lance died in 1999 and Catherine in 2006. The tribute to Catherine, published in the Herald Sun on 5 April 2006, tells us she died in her 87th year and was the 'dearly loved wife of Lance (dec). 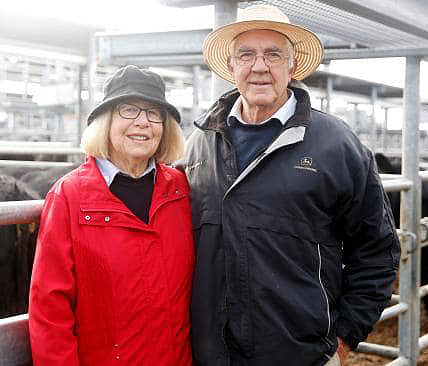 Much loved mother and mother-in-law of Linton and Barbara [pictured on the left at a cattle sale at Ballarat in May 2018]; Gloria, Carol and Campbell Emerson; Jennifer and John Carter. Adored Nana of Richard and Cherie, Fiona and Neville; Trent and Aaron. "Loving memories are ours to keep"'. They are buried together in the Donald Cemetery. 2) Annie Florence Reilly (193-2000) married Ronald John Morgan (1911-93) in Victoria in 1938. Ron's parents were Benjamin Morgan (1870-1942) and Margaret Jane Rainey (1866-1947) who were married in Victoria in 1893 and had three children in addition to Ron: Claude Benjamin (1893-1976), Ida Ellen (1896-7) and Beryl Jean Morgan (1899-1980). We believe Benjamin and Margaret farmed land at Woodford near Warrnambool where Margaret was born and both she and Benjamin died. The year after their marriage, Ron and Annie were living at Terang in western Victoria and near Garvoc where Annie's grandfather, Richard Augustine Reilly, farmed land before moving to Corack. While at Terang, Ron enlisted in the Australian Army (on 16 January 1942) and served for a time with the Volunteer Defence Corps. After the War they moved to Cavendish, north of Hamilton, where Ron was said, in the Australian electoral rolls, to be a grazier at Eulameet. They remained there until the early 1970s when they moved into Hamilton. Ron died at Hamilton in 1993. Annie died there in 2000. According to the Hamilton Public Cemetery Trust website, they are buried together in the local lawn cemetery (SBS Lawn 585). We don't know if they had any children. 3) Born at Corack East, Daisy Alexandrina Reilly (1915-88) married James Goldsmith Campbell (1910-69) in 1937. According to the 'Grogan/Seel (Entire) Family Tree' on Ancestry, James was born in Rhodesia on 15 November 1910, son of Charles Frederick Campbell (1863-1916) and Annie Grace Goldsmith (1875-1950). Charles Frederick was born at Daylesford in Victoria in 1863, son of a Scotsman, Peter Campbell (1833-77), and a Yorkshire woman, Charlotte Ann Hargreaves (1838-85), who were married in Victoria in 1860. After marrying in Victoria in 1904, Charles and Annie went to Rhodesia where Charles worked as a miner and their first three children were born. Ancestry's assisted and unassisted passenger lists, 1839-1923, show they returned to Australia on the steam ship RUNIC in 1911, just two months after James' birth. The Australian electoral rolls show they settled at Corack where Charles worked as a builder and contractor until his death in 1916. His death notice, published in the Argus on 11 May of that year, informs us he died at Melbourne's Alfred Hospital and was 'the beloved husband of Annie Grace Campbell, of Corack, and loving father of Gertie, Annie, James, Douglas [who married Jean Martin in 1947 and farmed land at Carron in Victoria] and Oliver, aged 52 years'. The Australian electoral rolls show James Goldsmith, farmer, and Daisy Alexandrina Campbell lived at Carron (northwest of Donald) in Victoria until the early 1960s when they moved into Donald (their eldest son, James Kevin and his wife Elwyn Joy Campbell continued to farm at Carron). James Goldsmith Campbell died in Adelaide in 1969. Daisy continued to live at Donald until her death there in 1988. She and James are buried together in the Donald cemetery as are their two sons, James Kevin Campbell (1937-2006) and Darryl Charles Campbell (1945-88), and James Goldsmith's brother, Douglas Charles Campbell and his wife Jean. The 'Grogan/Seel (Entire) Family Tree' on Ancestry tells us James and Daisy's two sons each had two children all of whom married. 'Johanna Shepherd's grave', 'Edmond and Annie's wedding, 1911' and 'Reilly family group', courtesy of Robert White and Gloria Reilly. 'Lucy and Annie Shepherd', 'John and Johanna Shepherd and their three girls', 'Shepherd sisters at Corack East', 'John Myles and Lucy Shepherd's wedding' and 'Edmond and Annie Reilly and family', courtesy of Gloria Reilly. 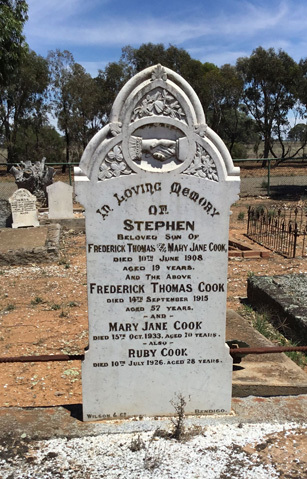 'Gravestone of Stephen and Mary Jane Cook', from Carol's Headstone Photographs website. '1929 Methodist congregation' from Jenni Campbell's monograph, Cream of Corack: 1844-1997 (Red Cliffs, Sunnylands Press 1997). 'Samuel and Fanny Johanna Free and their family', private collection. Margaret and Linton Reilly, from the Weekly Times, 18 May 2018. Remainder from the photos section of Wycheproof Historical Society website.